Gold Leaf Gardens. Photo by Erik Hecht. What does it take to stand out in a market with over 1,000+ cannabis brands? Is it just growing good weed? No but it used to be who weighed the fattest sacks of the dankest nugs was mostly what it took to stand-out in the black market and green-cross days, but not anymore! Differentiating yourself in legal cannabis starts with good weed, but just growing "good weed" is the minimum requirement in legal markets. Growing "good weed" is basically the same as showing up on time- not everyone does it but everyone can do it: the baseline standard for what it takes to make it. For a producer/processor in legal cannabis to stand-out, they must do much more... Gold Leaf Gardens, along with partners Polar Icetracts and Leira Cannagars, put in tireless hours & proper work to ensure their cannabis products are unlike anything else in the market! Gold Leaf Gardens is an award-winning cannabis producer / processor in Washington State that grows some of the finest cannabis products in the world! Gold Leaf is the epitome of craft cannabis. They are on the cutting edge of defining their own path in the cannabis industry. While most companies have their focus on increasing production to increase revenue, Gold Leaf's focus is on creating the finest products for the end-users. Not many cannabis producer/processors place as much emphasis on the end-users experience as Gold Leaf. We believe the experience is the #1 most important factor- that's why we do it. The Novel Tree team are representatives for cannabis consumers- meaning, we are cannabis consumers ourselves and it is our responsibility to bring clean & reliable products to our guests that depend on us to source high-quality cannabis products for them. As cannabis aficionados, we are genuinelly stoked to be able to offer you Gold Leaf cannabis! What are three of the ways Gold Leaf Gardens stands out? Gold Leaf Gardens runs their garden with strict organic farming rules. They proudly operate under the Clean Green Certification, modeled after USDA organic standards for responsible agriculture. Compost teas, living soil, hand-watering, and even extra time to mature- these cannabis plants live a life of Aloha. "Grown with Aloha. After all, it is not any specific nutrient or genetic that creates exceptional flower. It's love, it's care, it's purpose - It's Aloha." Gold Leaf Gardens views their gardens as living organisms allowing each cannabis plant to develop into the magnificently unique plant at its maximum potential- it's a holistic view that might have to be toked to understood. If you're one of the small population of individuals who has been able to inhale the sweet toke of a Leira Cannagar, you know how lucky you are. Leira Cannagars are an experience of their own- smooth hitting, slow burning, & delicious to the last puff. The full-size Coronas can session for well over 4hours. They can be put out and lit again with no flavor fall-off. Every Leira Cannagar is carefully made by hand using high-grade cannabis from Gold Leaf and pure cannabis extracts from Polar Icetracts. 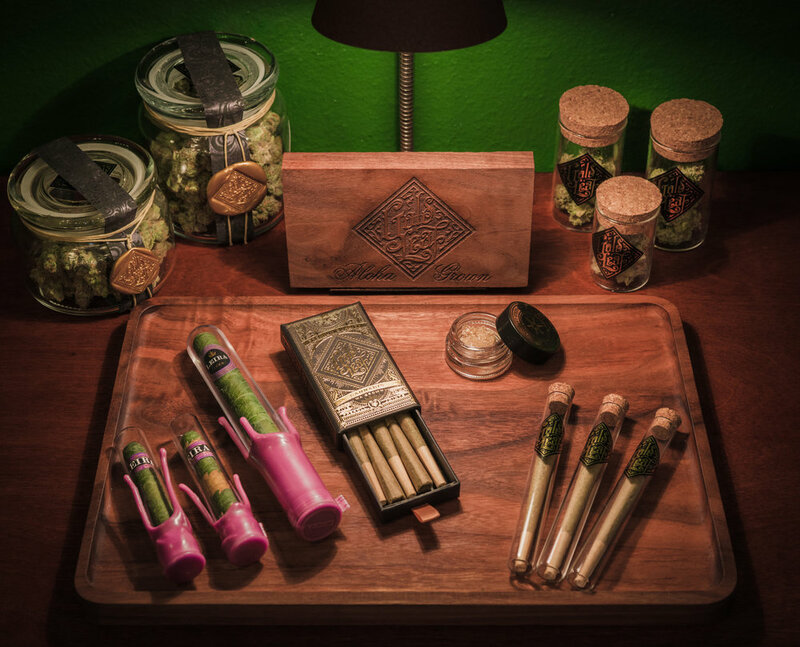 This craft can take months to complete with the finished cannagars looking like pieces of art. Polar Icetracts crafts award-winning solvent-free cannabis concentrates. 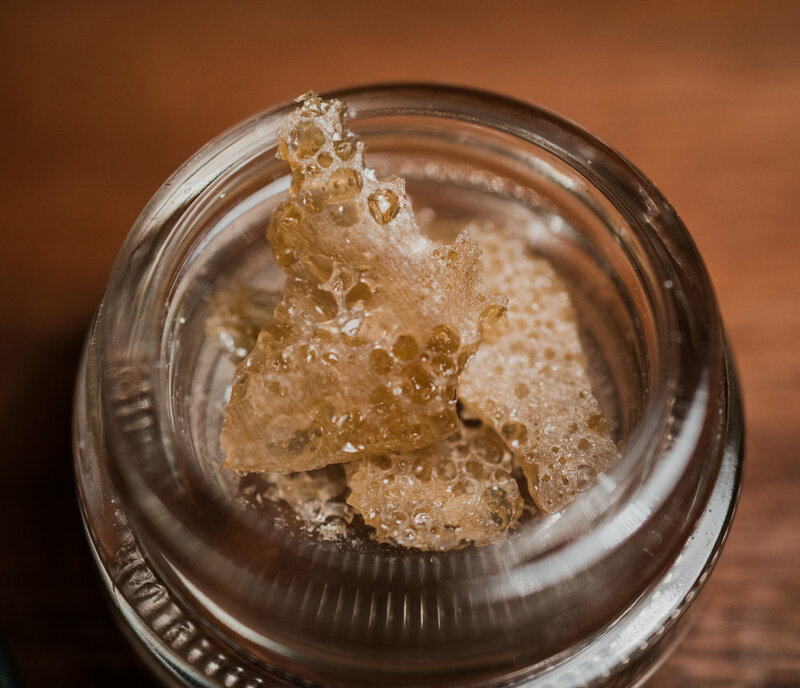 The ice-water extraction techniques reliably produce 6-star bubble hash and hash rosin. 6-STAR!!! That's the highest quality of cannabis extract. Hardly anyone is doing this commercially- not only does it require high-grade cannabis flower to begin with, it is an extremely low yield due to the fact that the final product is pure glandular trichomes, isolated from all other plant material. The most pure cannabis extracts possible! We keep them refrigerated to ensure freshness, and recommend refrigerating these cannabis extracts until you're ready to consume them. Be on the lookout for a quickly rotating availability from Gold Leaf Gardens at The Novel Tree. Selections are limited and based on what is currently cured & available. Subscribe to our email updates or follow our social media accounts for special events or product releases at your local's favorite weed shop in Bellevue, Washington. Older PostHello, Heylo Pax Pods! !